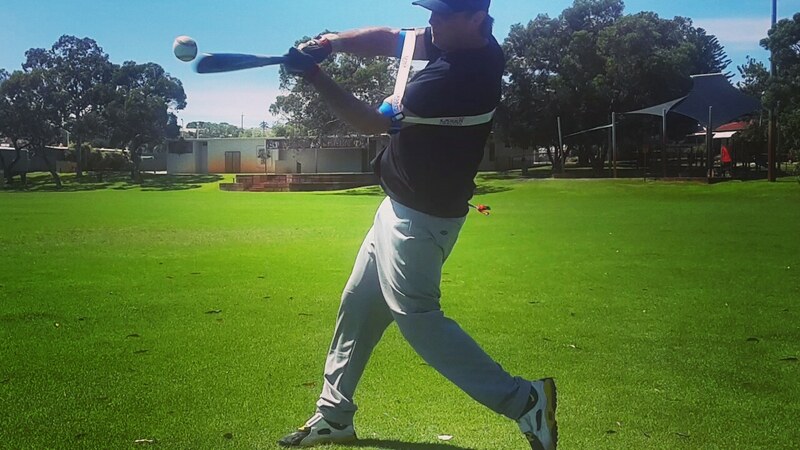 Improve contact closer to the body; adding to a player’s current strength, hitting extended locations; and improve top hand mechanics to hit a dominant inside fastball. Right-hand hit, and right-hand throw players, using a top-hand release follow through are top hand swing dominant, however, using a bottom hand dominant swing type (top hand release swing). The goal is balancing your swing by improving top-hand strength, and mechanics, allowing for power hitting in multiple locations; in this case, improving contact closer to your body. 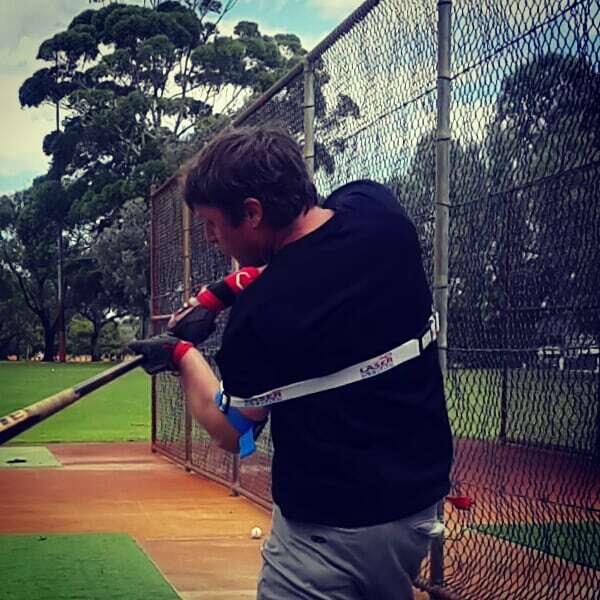 Image: Our power swing trainer makes hitting “impossible” pitch locations easy. When swing extension is not an option, due to speed and distance; facing a 95 mph pitcher, the only chance you have is to use your core. Short-to-short, and flatter swing plane, avoid lifting on your follow through; it’s not an option when hitting the ball closer to your body. As you’ll over-rotate on your back foot, fall off-balance, and the rear shoulder knocks your head off the ball. The height of the pitch provides the lift for you, hitting a belt-high and above fastball, using core hitting mechanics; a home run is the likely outcome. Though rare, in the past players have success hitting dominant a “up-and-inside” fastball for power, therefore it’s not an impossible feat. However, practicing to hit this pitch is virtually impossible, due to a lack of technology, but not anymore. 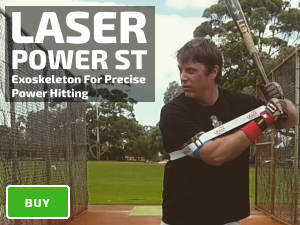 The Laser Power Swing Trainer power hitting aid guides you to hands inside the ball, AKA staying connected; for the first time players can isolate, and practice hitting “unhittable” pitches. Reduced time = reduced movement, therefore minimize swing movement, hitting +95 mph, higher in the zone; whip the bat around your body, allowing your top hand to take control. Close your mind and open your eyes, allowing your reflexes take over, and you’ll surprise yourself with what you can hit once you stop thinking.